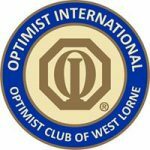 Sponsored by The Optimist Club of West Lorne Inc. & Municipality of West Elgin Recreation Committee. This annual Mother’s Day fixture in West Lorne offers a 10K and 5K road race with a family 5K walk and children’s 1K fun run. View the race, enjoy this picturesque country run. One Prize of $50 to each male & female runner who wins their category in each 10K or 5K race. Children are natural runners, have them run along with you making it a family event. Enjoy running through the neighbourhood and taking in the surroundings. Set your own pace or run with a group of friends. Getting in shape forces you to face your biggest challenges, you know how to focus on the goal. Outpass your friends in this masters class for our expert runners.